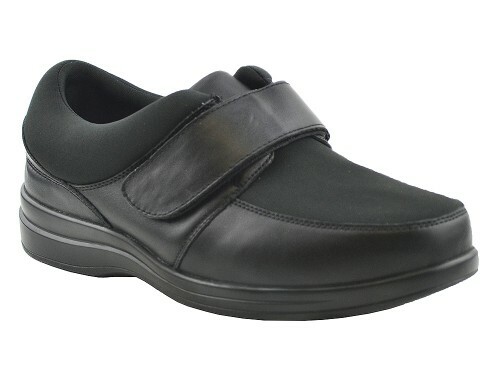 Andrew 2404-01 Features stretchable Lycra material to accommodate the distressed diabetic foot with hook and loop closure for maximum comfort and convenience. Journey II M 1487-01 Professionalism should never come at a cost to comfort. Smooth, lightweight black leather wraps the foot in a way that provides a superbly stylish and therapeutic fit sure to be appreciated by anyone seeking the perfect casual dress shoe. Carolina 100-01 Stretchable Lycra material eliminates pressure on a distressed foot for maximum comfort. 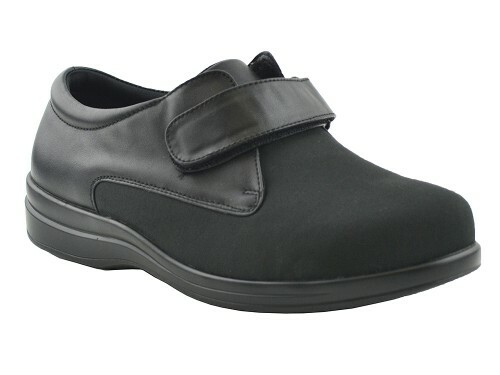 Available with adjustable Velcro to suit various style preferences. Sleek, sophisticated yet understated design is perfect for both professional and casual environments. 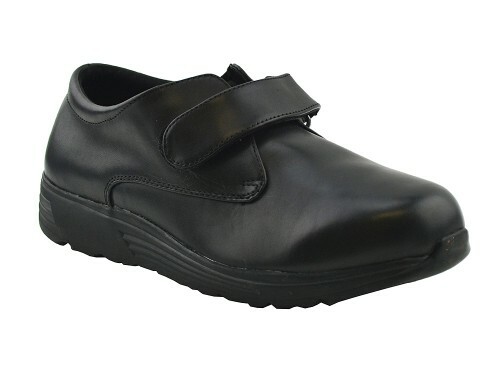 Sydney 1858-01 Lightweight, stretchable black leather shoe, featuring a hand-tapered Velcro closure, easily adjusted for premium comfort that is also stylish. Easy to clean and slide off and on with just as little effort. Savannah 400-01 Top grain leather and adjustable Velcro make for a stylish, low-maintenance shoe you can wear to the office for that big meeting and out for drinks afterward, all the while in complete comfort. Boston II M 1727-01 Sophistication and style are the important qualities in any dress shoe. 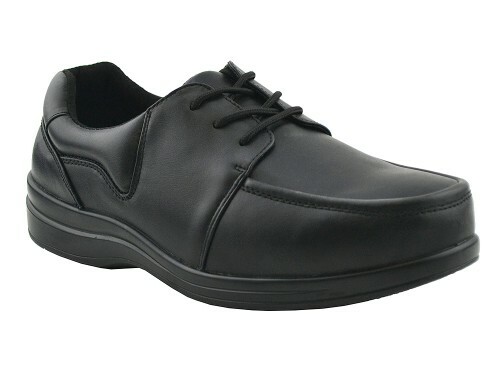 Flexible black leather and a wide toe area afford you the exceptional comfort of a tennis shoe with a look that is all business. Ross 109-01 Top grain leather and adjustable Velcro make for a stylish, low-maintenance shoe you can wear to the office for that big meeting and out for drinks afterward, all the while in complete comfort.